ETOSHA IS LIKE GOOD BRANDY – ALWAYS A BARGAIN! 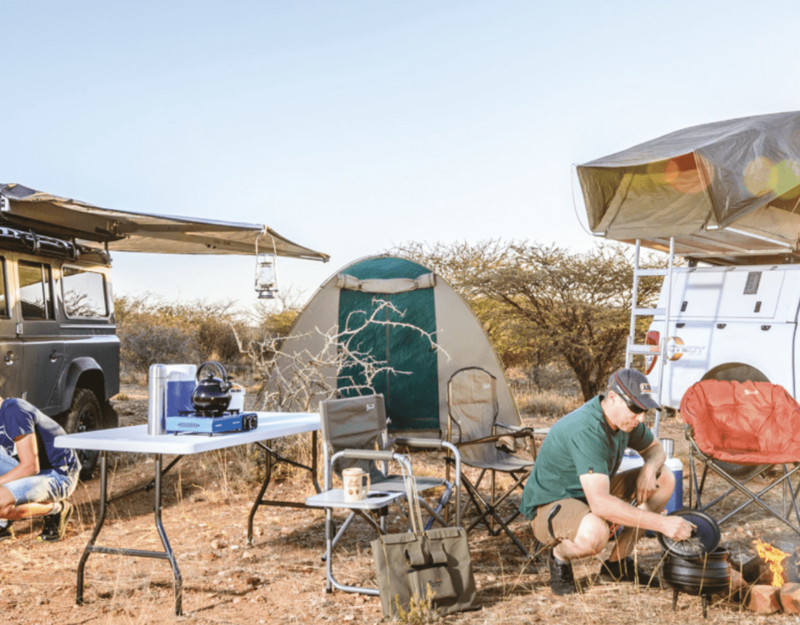 Since the upgrades and improvements were done to Etosha’s rest camps in 2007 – a most timely exercise considering the Etosha National Park turned 100 that year – many people commented that the accommodation in the park had become too expensive. Nevertheless, after a recent visit, and yet another and another, I came to the conclusion that this really is one of our country’s top birding destinations, comparable to any of the best game parks in Africa. So when it comes to footing the bill, compare Etosha to brandy – one with a superb vintage of excellent quality. Ever since my first visit, this camp has been my favourite venue for bird-watching, braaiing and waterholing. The massive sociable-weaver nest right next to the waterhole, as well as the two others on the border of the camping area (the private bin for the campers), offer an excellent micro-cosmos of various other bird species such as Pygmy Falcons and Rosy-faced Lovebirds – even before you can take your first sip. During autumn one of my favourite spots in the camp is the rockery in front of the gas station with its Aloe hereroensis. Occupying the middle of the road with a camera and tripod (unfortunately the best spot for taking pictures) invites looks from passing tourists that vary from sympathy to pure disgust (usually from the klippies and coke brigade). In summer, look out for the African Cuckoo in the camp. If it’s very quiet, it must be an African. If it’s very noisy, it’s a Common, because the Common is very vocal, and the African is not (rather like the difference between having a double and a single). Being a halfway shebeen between Okaukuejo and Namutoni, Halali has become a very popular destination, not only for the ice cream, but also because it’s a haven for the braai brigade, especially those coming from Namutoni where there are no braai facilities (what a pity!). 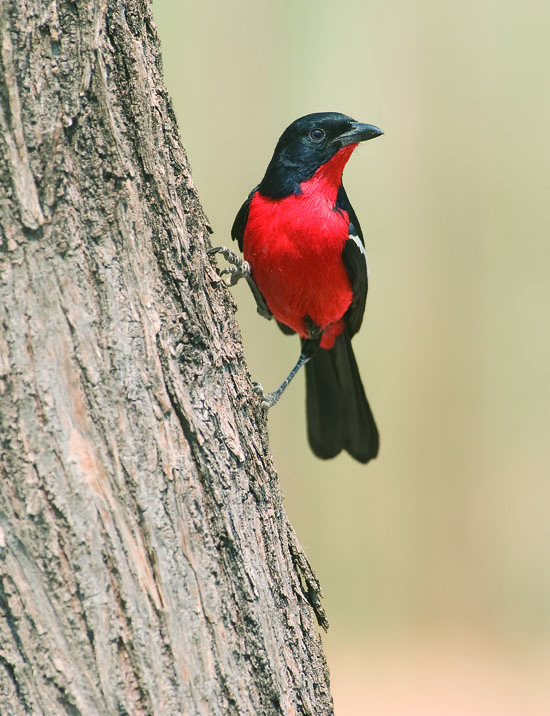 There are always a few endemics hanging around during the daytime, so taking a stroll around the camp will invariably bring some surprises for the bird-watcher. Ever since my first visit to this camp when I was introduced to the world of owls by Albert Swartz, I have not visited Halali without seeing an owl. When you’re coming from the western part of Etosha, it’s often difficult to tear yourself away from the mopane woodland, which has its own special flair. 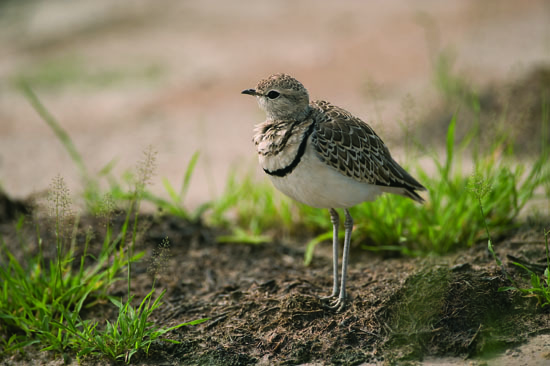 But once you’ve reached the eastern part of Etosha with its much higher rainfall, the diversity of birds increases in direct proportion. I must confess that the camp with its castle has lost a bit of its magic since being upgraded to a rather more upmarket but Namibian-unfriendly camp (maybe we’re just a bit downmarket). However, the fort hasn’t lost its magic with the massive coral tree and ficus trees still attracting many birds during summertime, especially lots of sweet-toothed and vegetarian ones. In the context of 100 years, we are looking at a very mature brandy in the age-old tradition! I wonder if this is the reason why we Namibians are still a bit skeptical about the camp (not enough meat?). The camping and day-visitors’ areas are still worth a visit, but you wonder if the price of such short excursions is not somewhat excessive. Despite all these complaints, I still love the eastern part of the park. From Namutoni all roads lead to Rome, as in to Fischer’s Pan. This is by far my favourite route in Etosha. For the past 10 or more years (avoid anything less than 10) the pan had water, to a greater or lesser extent. Obviously, the more water, the more birds and the bigger the variety. The flamingos’ breeding also depends on the amount of rain that has fallen (for brandy and water). You cannot believe the change that takes place once the water has made its appearance. I suppose most of the birds also have some difficulty to act normal. The plains are the areas between the various camps in Etosha. This might seem like a very blonde statement, but there are times when you shouldn’t over-estimate certain species. Although, as far as colour is concerned, this is not the epicentre of variety, the musical options that especially the LBJ birds offer are more than enough compensation for the lack of colour. The ‘doubles’ make up for their lack in colour with their sheer size and fascinating behaviour, such as the Kori Bustard and Red-crested Korhaan male’s elaborate mating display during spring. For the colour-coded part of the population, the migrants provide a few brilliant additions. 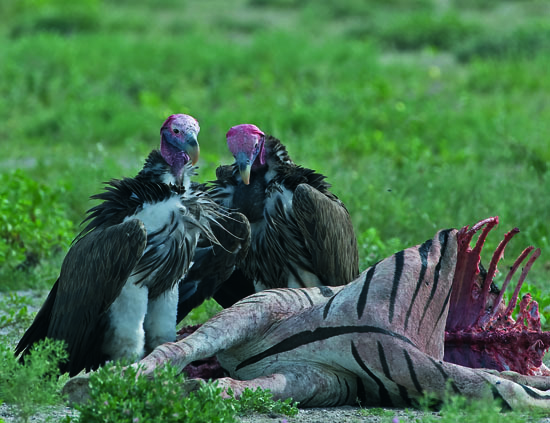 Game parks are known for their lions and raptors, and Etosha is no exception. The over 40 raptors (almost 70% of all the raptors in Namibia) occurring in Etosha always make a visit to the park worthwhile. During the rainy season there is also an influx of visitors from the north (not Oshakati), which brings the necessary diversity. There are rumours that most of the migrants plan to stay over for the winter season, but this hasn’t been confirmed yet. There are some concerns that need sorting out (nothing to do with the new prices, or the vintage). Although the temperatures can be quite high in summer, this should not deter the bird-watching connoisseur from enjoying the spectacle of birds from up north; nor should the quality of the vintage. 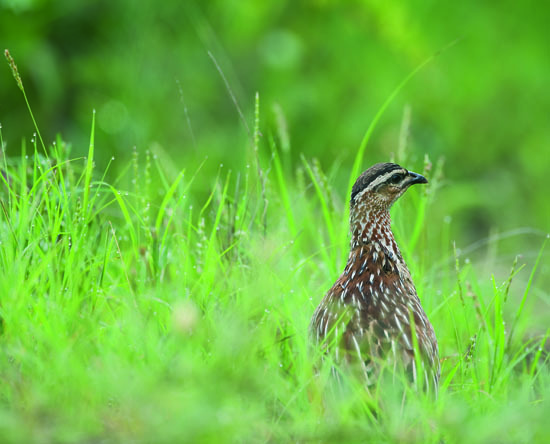 When looking at the impressive list of birds to be seen at this exclusive camp, it is no wonder the area is good enough for the most crowned brandy, to wit a rather complex, balanced cognac. 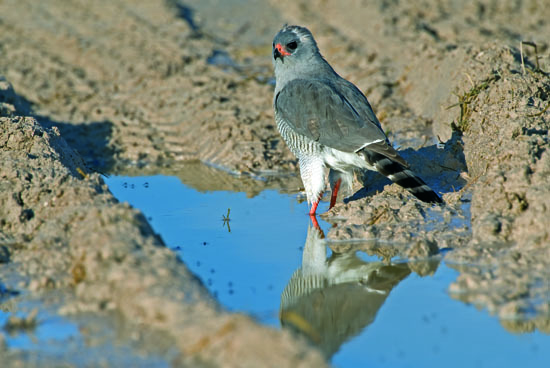 I must confess, most of these birds are still on my wish list, so you can imagine that I still have to stay over at Onkoshi, and certainly – if the CEO of Namibia Wildlife Resorts were to invite me for a weekend – I would be more than happy to share an oak-matured brandy on the rocks, or the sand, with him. This new camp is a most welcome addition to the four existing camps, as it allows visitors to explore this western part of Etosha, until now an unexplored area of the park that was not open to the public. The entrance through the Otjovasandu Gate allows you to view this mountainous area with its own brand of magic and bird populations. 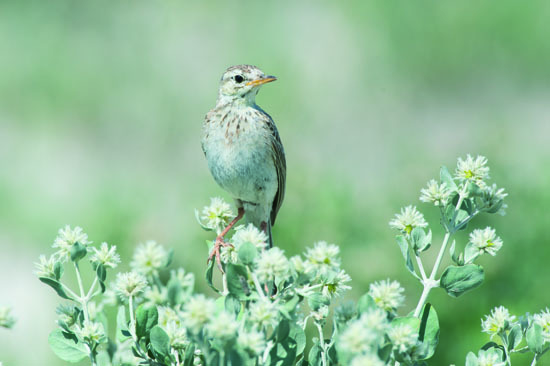 Being part of the pro-Namib Region, it is no surprise that endemics are very common here. The fact that Hobatere is no longer on the circuit, makes this the ideal substitute. Looking at all the pros and the very few cons, this eau-de-vie story does not sound too far-fetched. It is, indeed, still the double-distilled pot brandy of Namibia’s resorts. After each visit you will feel refreshed with a small barrel of maturated brandy that leaves you with a soft and enchanting aftertaste. This is indeed an addictive experience. When Etosha turned 100 in 2007, I thought it appropriate to write an article as a sort of celebration and follow-up to my previous articles on Etosha. It was written in Afrikaans for the Weg magazine in South Africa, which generously published it, obviously with a few alterations (it’s not only Amy who does this). For the purpose of the book, I translated and made a few adjustments back to normal. I thought it appropriate to add the following as a gesture of tongue-in-cheek thanks to the editor. It is situated in Namibia. There are animals in the park. There is no KFC or Spur there. A four-wheel drive vehicle is optional. There are no strikes or mass-action there (except for the springbokkies’ mass action).